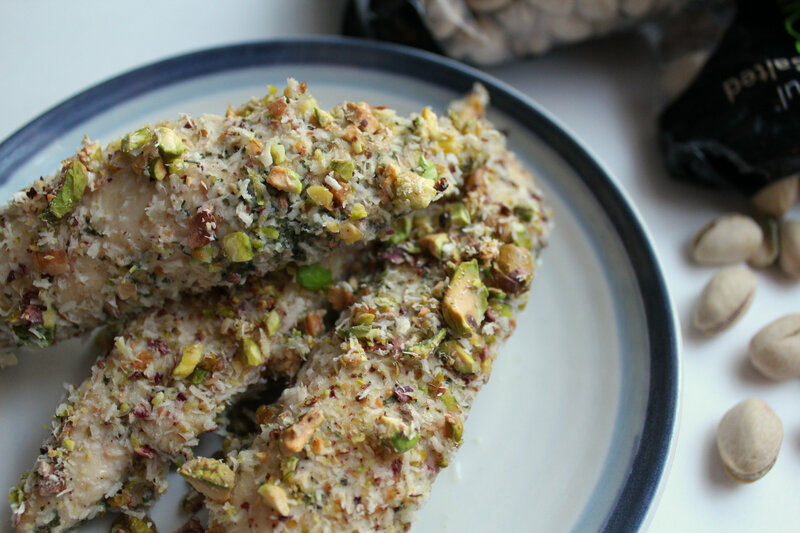 Love that you encrusted with pistachios instead of bread crumbs. That’s a tasty variation. I know my kids will love this. The flavor with the nuts, coconut, and lime are so fantastic! Loving this! Especially the crunch from the pistachio. Thank you! It is a great crunch! Lol, do I read the fine print, you’re funny, no not all the time. This recipe sounds and looks amazing, thanks for sharing on Real Food Fridays, join us at 7 central tonight for a new link up with aaaaa giveaway! this is a really unique recipe and such healthy ingredients – adding the lime should give a zesty flavor and the coconut flakes sound wonderful. Thanks for sharing on Real Food Fridays! Thanks Marla! Marinating in the lime juice really made this chicken so perfect, soft, and tender! Awesome Janelle! You won’t be disapointed 😉 Thanks for stopping by! That looks really good and healthy! Found you over one -it’s your life. You had me at pistachios! Sounds delish! 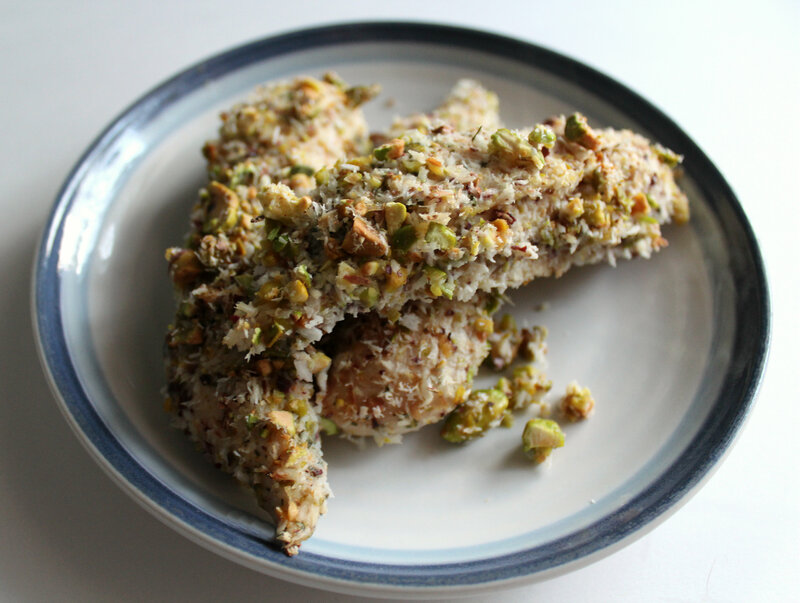 I love pistachios and have made a pistachio crusted tofu that I liked alot. I’ll have to try chicken and fish next. 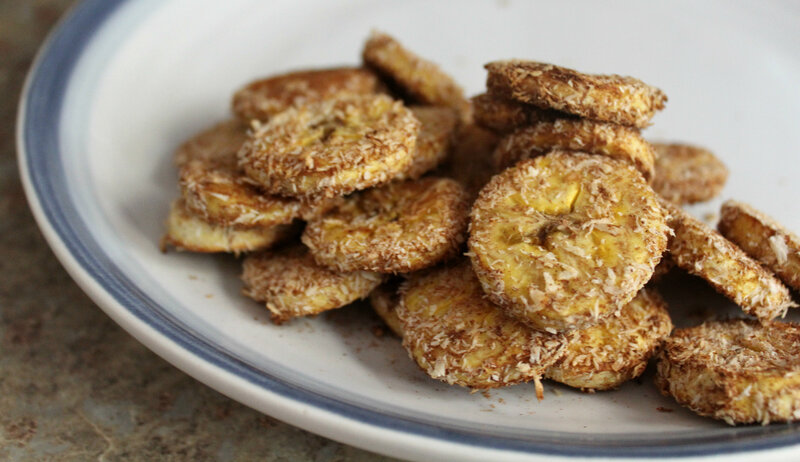 I was really intrigued by the baked plantain recipe so I’m only way to check that out as well. Thanks for linking up to Real Food Fridays! 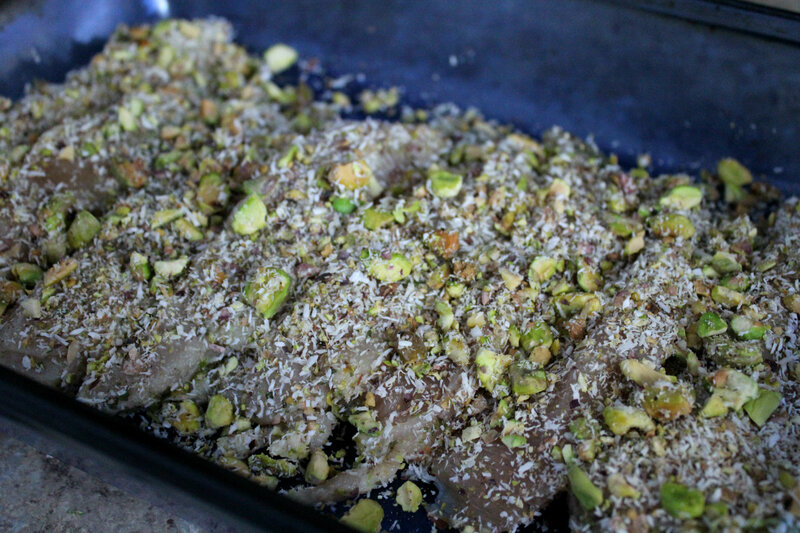 Pistachios are a great coating! Thanks for stopping by, I hope you like the plantains as well! Yum! Both recipes look delicious! Especially the plantains! Omg this sounds soooo good! 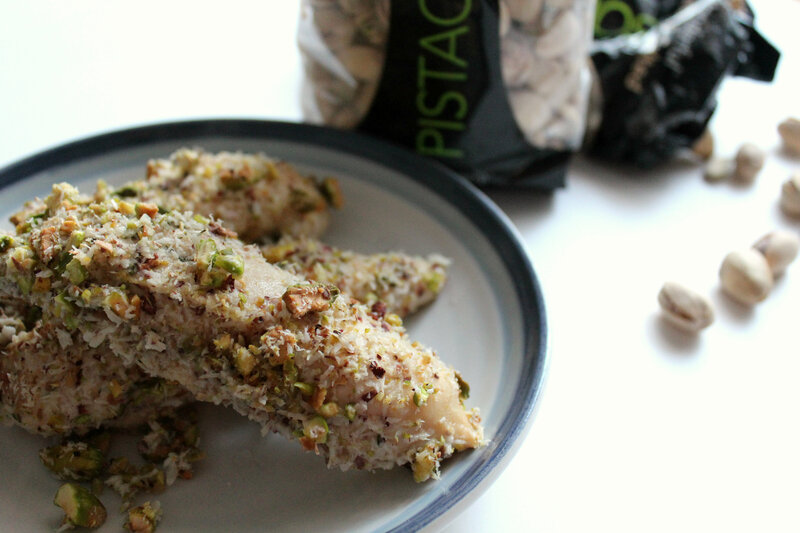 I love pistachios and chicken, but I’ve never had them together. I’m totally going to try this out! Haha, thanks Kristen! 🙂 I hope you do, you’ll love it! Looks yummy! My husband would love this recipe. 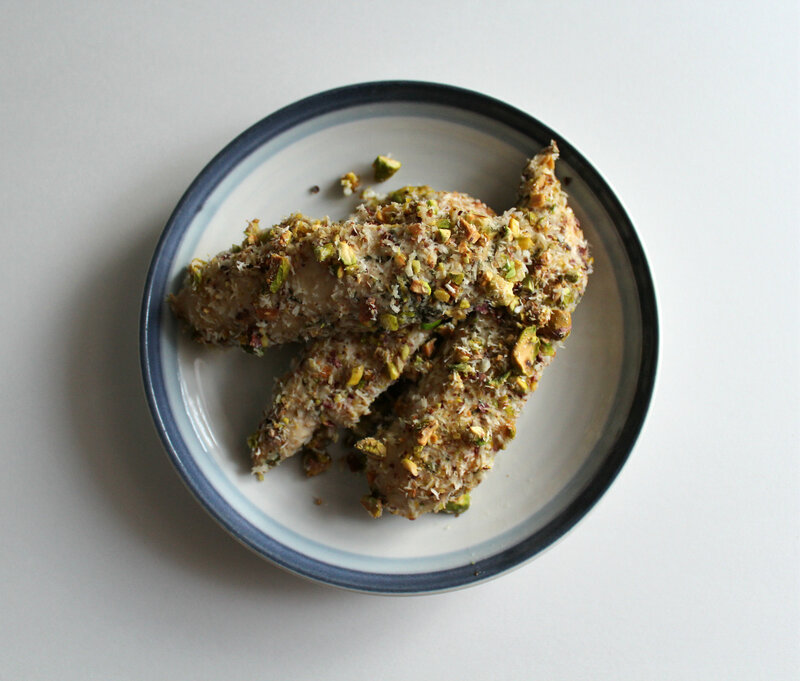 Cilantro, coconut and pistachios sounds like a great chicken coating. Will have to give it a try. This looks so tasty Rebecca! I would’ve never thought of breading the chicken with this combination. Love it! Thanks Holly! Totally random, but it worked! Thanks Zoe! They are such a great healthy fat addition to any dish 🙂 I can’t stop eating them!